Agile of body and playful of mind, Fringe Face and Ambassador Joshua Thomson regularly moves through a world that appears to defy gravity. Nominated for multiple Helpmann awards, Thomson is a performer, choreographer, director and maker of physical theatre and dance works that take human figures from everyday life – the office worker, the tradie – and hurls them into vast, challenging environments, including the ocean. Following over a decade of making work nationally and internationally, Thomson is currently based in Sydney as Artistic Director of physical theatre company Legs On The Wall. We’re talking about how artists navigate the demands and pressures of finding space to live and make work here in Sydney. Thomson may or may not be joking. As a co-founder of ludic Gold Coast dance outfit The Farm, he has already put his body and creative process into intense physical situations, such as a 49-hour durational improvisation in an open air office at the mercy of tidal waters in the Currumbin Estuary (2018’s Tide). You’ll have a lot of opportunities to see Thomson over Sydney Fringe this year. 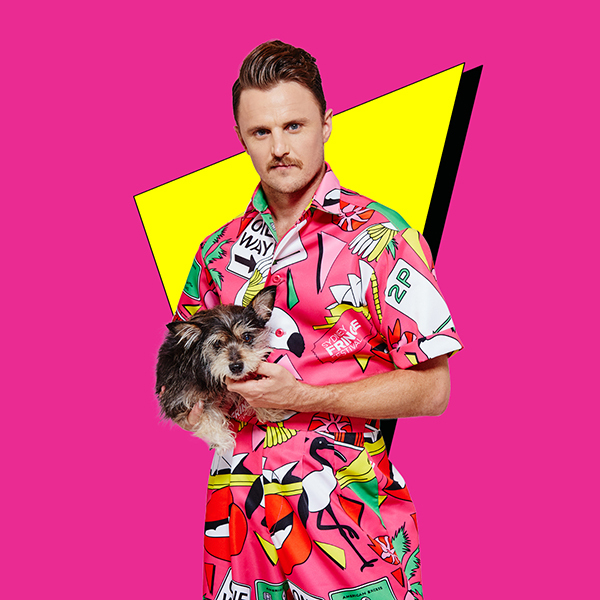 First, he’s all over the 2018 Fringe Guide – “I thought I was just doing an ambassador photoshoot, but I ended up being on the front and back of the guide” – but, more importantly, he is hosting the Legs Hub in Lilyfield, for which he has curated a series of circus acts from around Australia. Sydney is, for Thomson, an exciting place to be making work and he is a big proponent for artists to stay and create in this city despite the perception that Melbourne is more welcoming for live arts. His only major advice to starting artists?